Ousted Egyptian President Hosni Mubarak has appeared in court over charges of embezzlement, corruption and sanctioning the killing of protesters during the February uprising. Mubarak has pleaded not guilty to all charges. 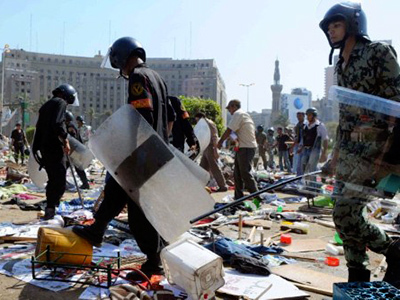 The former president’s lawyers claimed their client’s case should be tried separately from the case of country’s former Interior Minister Habib el-Adly, who allegedly gave the actual order to shoot at the protestors. Lawyers say 83-year-old Mubarak is critically ill and cannot attend the trial full-time. Next appearance in court for Mubarak will be August 15. Until then, he will be held at military hospital near Cairo. The former Egyptian president denied all charges of not only complicity in giving an order to shoot at protestors in Cairo, but also corruption. The court’s hall was separated by metal gauze into two spaces, securing the defendants and about 300 people of the audience, some relatives of those who died in clashes with police were also present. 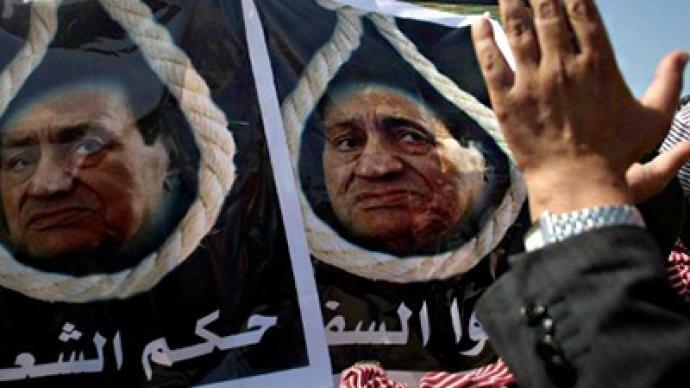 Outside the court, dozens of Mubarak’s adherents were stoning opponents, carrying portraits of the former leader and promising to burn down and tear the prison to bits if Hosni Mubarak is found guilty. The clashes between Mubarak’s supporters and their opponents started today in Sharm el-Sheikh, from where the man who ruled Egypt for 30 years was taken to Cairo’s public trial. The disorder cost the life of one man, while 15 more have been injured. The court proceedings were broadcast live from Cairo, where the former leader was tried along with his two sons and several senior aides. Hosni Mubarak was transported from Sharm el-Sheikh on Wednesday by helicopter. 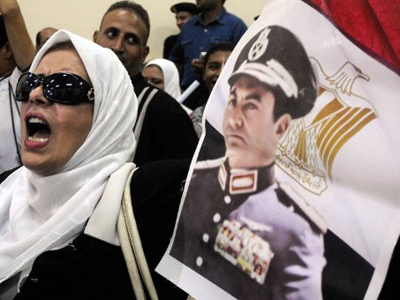 The charges against Mubarak carry a possible death sentence if he is found guilty of premeditated killings. Despite Mubarak’s overthrow, the political and economic situation in Egypt has worsened over the past months, admits writer William Engdahl, who had been closely following the revolution in the country. “It’s definitely worsened. And now you have the Muslim brotherhood position to become the leading political party in the elections, when they are held. That doesn’t bode well for Egypt, a country with a diverse secular tradition. And the economic situation is getting worse, so I don’t think the young people are having more democracy, perhaps even less,” he said. The revolution, which is widely believed to have been stirred up from abroad, could not have brought any other result, believes Engdahl. 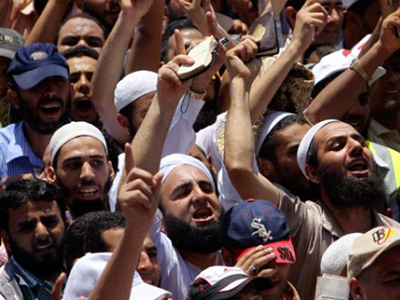 For some Arab leaders, the trial of Mubarak could be an alarm signal, suggested political analyst Mahdi Darius Nazemroaya. “Some people believe that this could be a message; others can interpret it as typical behavior by the US and Britain, France and several other countries in Western Europe, where they use and abuse their former allies,” he said, pointing to Saddam Hussein and the Taliban as examples.